Start Your Yellowstone Adventure Today! Located at the northern entrance of Yellowstone National Park, Gardiner, MT is the only entrance to the park which is open to wheeled vehicles all year. The only way to get to Gardiner is either exiting the park from Mammoth or to travel south from Livingston, MT using U.S. Highway 89 through the magnificent Paradise Valley. Gardiner is a small town that bursts during the summer months with activities to do centering around Yellowstone National Park and the great outdoors. A must see while in Gardiner is the Roosevelt Arch. The arch was constructed in 1903 with the inscription, “For the Benefit and Enjoyment of the People” at the first major entryway into the first national park. There are some major renovations being done to Park Street, the Arch Park and the entry road into Yellowstone, that are nearing completion and are already helping to ease traffic congestion and further beautify an already amazing location. The Black Bear Inn is situated at 114 E. Park Street and is just across the street from the national park itself. 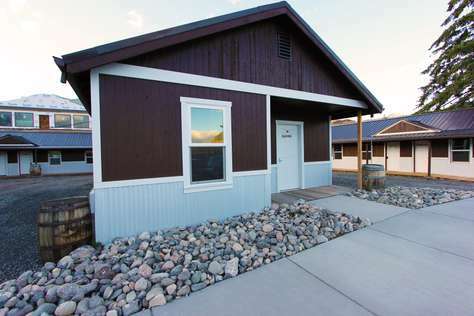 This puts you in a prime location for easy travel into and out of the park and also right next to some of the fine restaurants and shops that Gardiner, Montana has to offer. To find out more about the adventures that await in Gardiner, click here. We love this town, and we hope you will too. 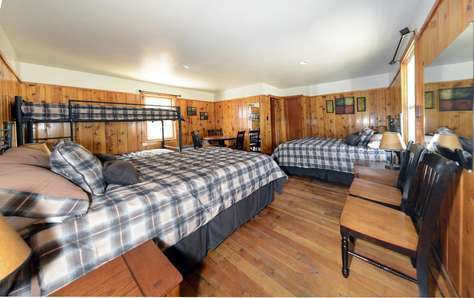 You may now reserve a room at our ruggedly rustic motel in the heart of Gardiner, MT directly from this website. If you have any issues please let us know so that we may remedy them ASAP. Give us a call at 406-222-0304 or email us today!